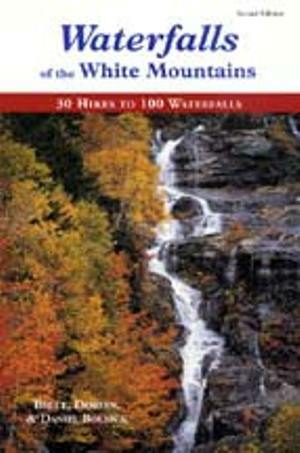 Waterfalls of the White Mountains, by Bruce, Doreen & Daniel Bolnick. 2nd Edition, 1999. Thirty chapters provide vivid descriptions of over 100 waterfalls, with "historical detours" woven in. A great book for hikers who enjoy falling water and a backcountry dip. Includes all the classics such as Arethusa Falls, Falling Waters Trail and Crystal Cascade, plus lesser-known gems like Dry River Falls, Sphinx Cascades and Rattlesnake Pool. Includes many fine photos by Robert Kozlow. 310 pp, 6” x 9”.